ZaProDoctor is a complete solution for creating a Doctor profile and making appointment easily from home. User can signup very easily and get an appointment with the doctor. It is very simple process to appoint with the doctor for a patient. Patient can write about his/her problem and doctor can check that from home too. Everything is very easy to manage and no need for extra technical qualification for doctor and patient both. If a patient book a time then other patients can’t book the same date and time. Doctor can set his/her working time very easily. This system is created with Laravel and any normal server is good to run the system. 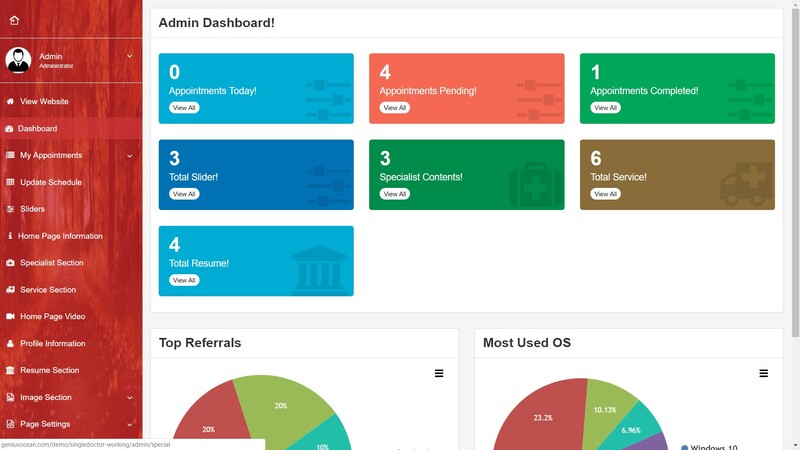 Patients Details in Admin Panel.